Hello people of the internet!!! On today’s ‘Monday Memos’ we are going to discuss something that the whole internet was obsessed with this pat week. If you have an iPhone then you’re probably VERY familiar with the GPS function ‘Siri’. unless you have an iPhone and/or experience with Siri, then you may not realize that Siri is one very sassy GPS system. She’s been known to make jokes at the expense of her owner, and because of this, we have gotten some VERY funny clips for YouTube over the years. So please read on to find out what Siri did this past week that kept the internet buzzing. All credit goes to YouTube, Siri, iPhone, Cookie Monster, Sesame Street, zap2it.com, Joan Caze Cooney, Lloyd Morrisett, Samuel Gibbon, Jon Stone, Reeves Teletape Studios, Unitel Video Inc., Astoria Studios, Children’s Television Workshop, Seasame Workshop, NET, PBS, Breaking Bad, Aaron Paul, Vince Gilligan, Mark Johnson, Michelle MacLaren, Stewart A Lyons, Sam Catlin, John Shiban, Peter Gould, George Mastras, Thomas Schnauz, Bryan Cranston, Moira Walley-Beckett, Karen Moore, Patty Lin, High Bridge Entertainment, ran Via Productions, Sony Pictures Television, AMC, Jim Henson, Frank Oz, David Rudman, all of the businesses, companies, people, stores, and any other original owners involved and/or mentioned in any of these videos, any and all companies, individuals, and/or businesses that should receive credit for anything mentioned in this blog post, and all original owners. I do not own anything in this blog. If any people, corporations, businesses, companies, etc, were not previously given credit for their work, they are given credit now and their previous absence was unintentional. All opinions expressed in this blog are my own. I wrote this blog for entertainment purposes and no copyright infringement is intended. 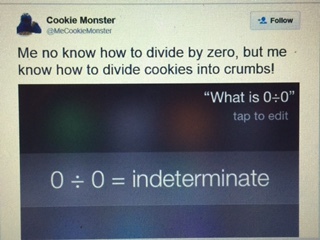 celindareyesblog July 7, 2015 No Comments on Monday Memos: Siri vs Cookie Monster…a battle of the icons. Category: Monday Memos. Tagged: Aaron Paul, AMC, Astoria Studios, believe, breaking bad, bryan cranston, children, Children's Television Workshop, Cookie Monster, David Rudman, Frank Oz, fun, George Mastras, High Bridge Entertainment, imagination, iPhone, Jim Henson, Joan Caze Cooney, John Shiban, Jon Stone, Karen Moore, kids, Lloyd Morrisett, make, Mark Johnson, Michelle MacLaren, Moira Walley-Beckett, NET, Patty Lin, PBS, Peter Gould, puppet, ran Via Productions, Reeves Teletape Studios, Sam Catlin, Samuel Gibbon, Seasame Workshop, Sesame Street, show, Siri, Sony Pictures Television, Stewart A Lyons, Thomas Schnauz, tv, Unitel Video Inc., Vince Gilligan, youtube, zap2it.com.